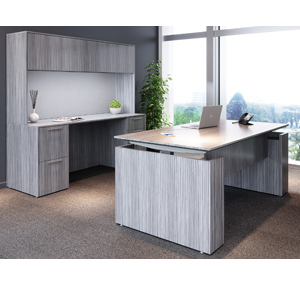 Latitude features an elegant design with a thin top profile and integrated wood finger pulls. The wall hung overhead storage cabinets offer a sliding door canopy with a thin profile brushed metal lower shelf for a light weight contemporary aesthetic. 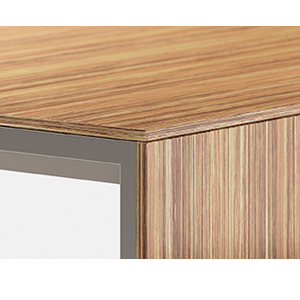 Height adjustable surfaces are also part of the product offering.